Following on from the popular EW500 G3 wireless system range, the Evolution 500 G4 series radio systems offer adjustable RF output power up to 50mW and can still operate for up to 8hrs. Like the Evolution 100 G4 system and 300 G4 systems, the 500 G4 series is compatible with older G1, G2, and G3 series radiomic systems. 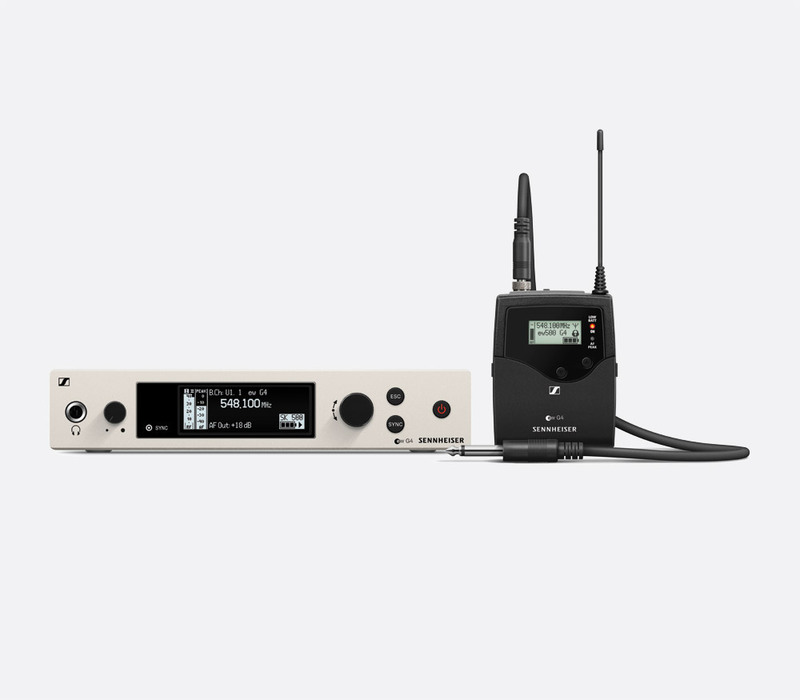 The range is available as complete systems or in component form with either handheld transmitters, plug-in transmitters or belt-pack transmitters for use with instruments or lapel microphones and static AC-powered receiver. 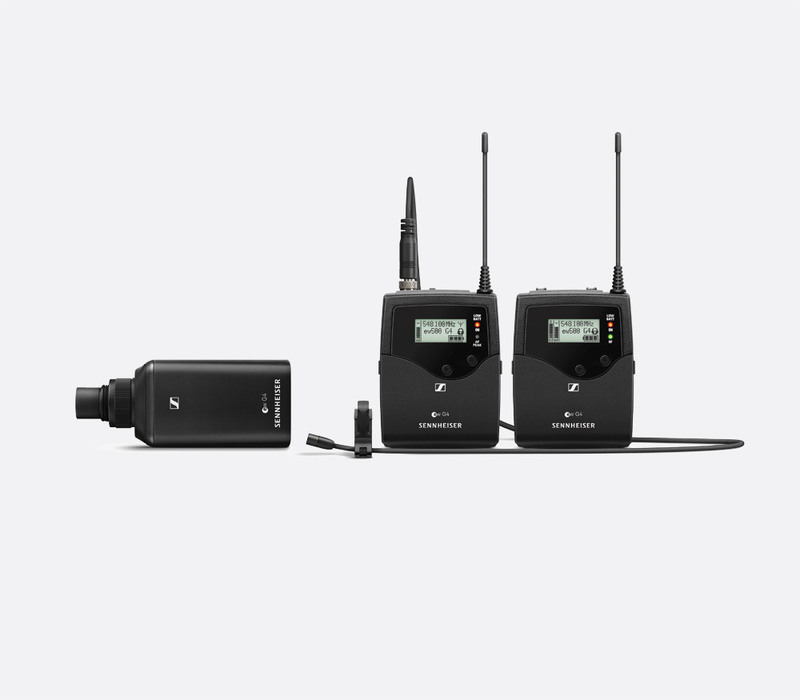 These systems are offered set for channel 38, 606-678MHz, which is the range for licensed radio microphones and in-ear monitors in the UK or set for channel 61/70, 790-865MHz, which covers the licence-exempt band for use in the UK. A licence is required to operate this equipment in channel 38. For more information in regards UK wireless system licensing and OFCOM, please visit the Canford guide at http://www.canford.co.uk/Technical/Article/Channel69; Up to date information should be available at www.jfmg.co.uk. 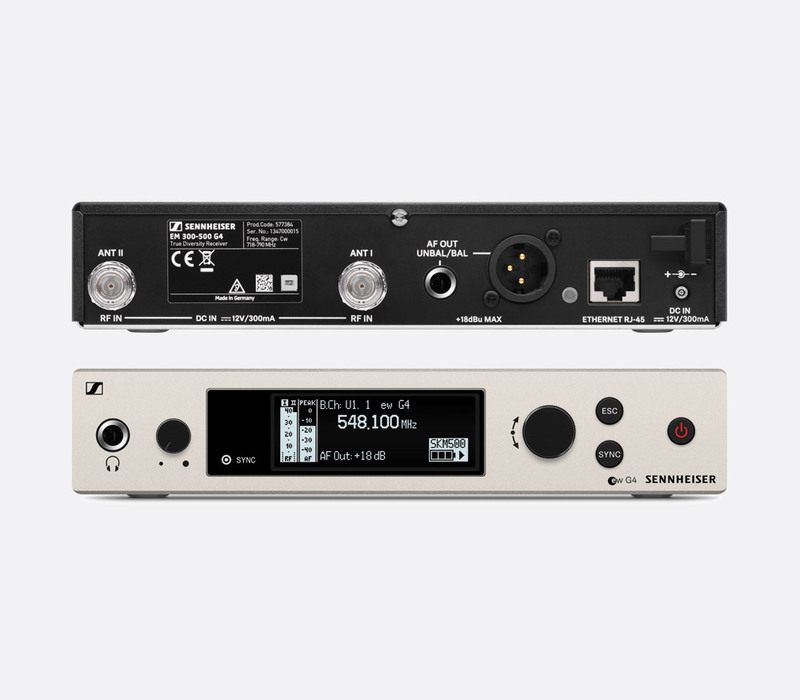 This diversity receiver is shared between both 300 and 500 series G4 systems and is present in most Sennheiser Evolution 300 G4 and 500 G4 series wireless systems. It is powered with the included NT2-3 UK (74-4435) power supply and can be secured into a rack case by using the included GA 3 (74-4434) rack mounting adapter. The front facing panel of the all-metal receiver housing has an OLED display, giving access to menu options and displaying information including current frequency, channel number, RF-level metering, AF level, lock status, pilot tone evaluation, muting and battery status of the associated transmitter. Controls on the front panel include a 'Sync' button for infrared connection between receiver and transmitter; rotary jog wheel with push set, 'ESC' button, and power button. A stereo, 6.35mm jack, headphone output along with a rotary headphone output level control is positioned to the left. 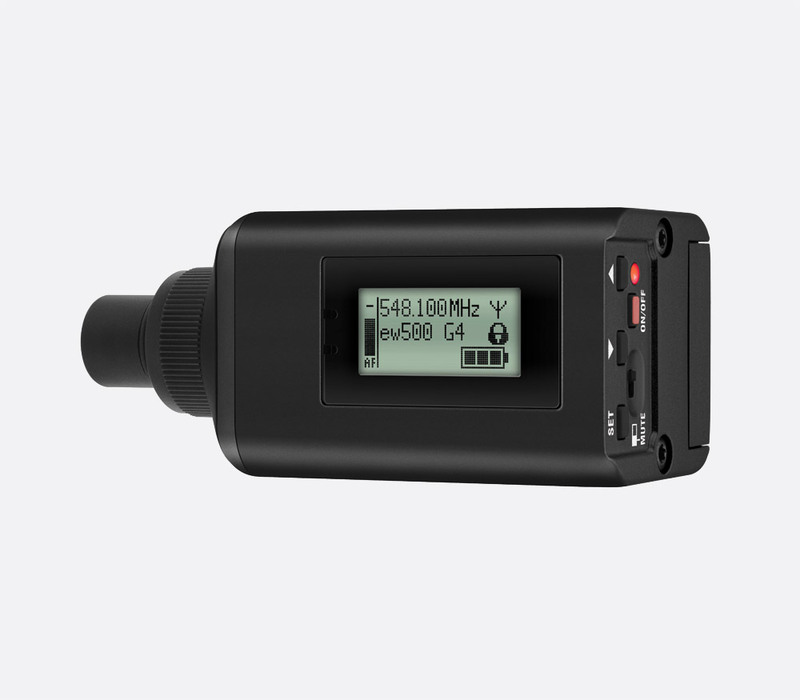 The rear panel houses all other connectivity, including the 12V/300mA DC power inlet and cable grip, +18dBu balanced audio output via a 3-pin XLR, +12dBu unbalanced audio output via a 6.35mm jack, and single data port for use in connection to a compatible computer running Sennheiser Wireless Systems Manager software. Two BNC antenna connections allow for attachment of the two included rod antennae or connection to compatible remote antenna hardware. Dimensions: 190 x 212 x 43 (WxDxH) mm. Weight: 980g. Included accessories: 2x rod antennas, NT2-3 power supply, RJ10 cable, GA 3 rack mounting set, guides. This receiver, with a range of up to 100m, is designed for applications where portability is essential, such as ENG. It is powered by 2x AA 1.5V batteries for up to 8hrs of operation, or one BA 2015 (91-498) battery. The audio output connection is by an unbalanced, 3.5 mm, locking jack socket. An illuminated graphical display on the front side shows status and menu options. Dimensions: 82 x 64 x 24 (HxWxD) mm. Weight: 130g. Included accessories: CA 2 camera adaptor, 2x AA batteries, CL 1 cable, CL 500 cable, guides. The SK500 G4, with up to 50mW RF output power, is housed in a light-weight metal belt pack, and can be used with compatible lapel microphones, head worn microphones and higher-level signals from instruments such as guitars. It is powered by 2x AA 1.5V batteries or a BA 2015 which provide a typical operational time of 8 hours. The audio input is via a locking, 3.5mm, jack socket. An illuminated liquid crystal display (LCD) on the front facing side shows status and menu options. Dimensions (WxDxH): 64 x 24 x 82 (WxDxH) mm. Weight: 160g. Included accessories: 2x AA batteries, pouch, guides. 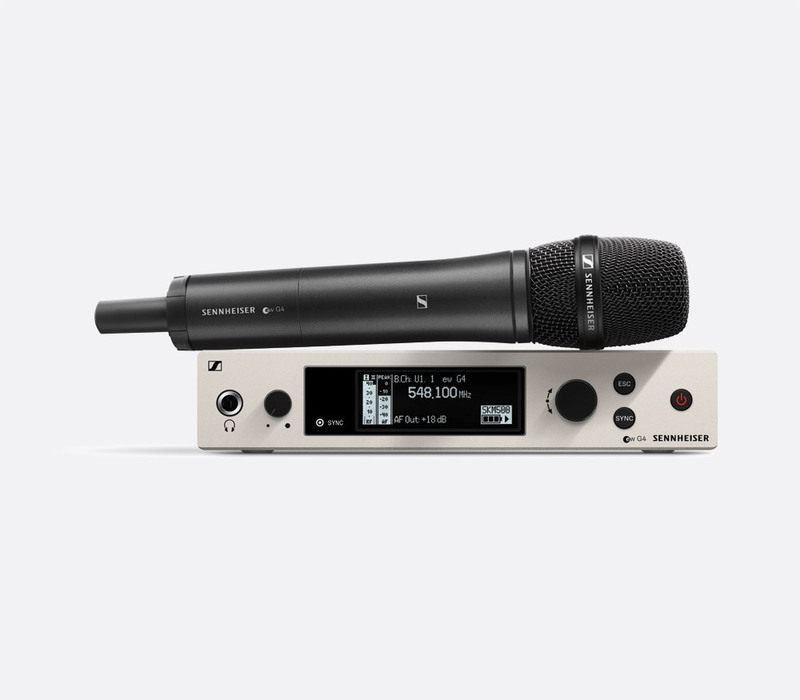 Building on the popularity of the SKM 500 G3, the SKM500 G4 series transmitter, with its lightweight aluminium housing, is designed for vocals whether sung or spoken. 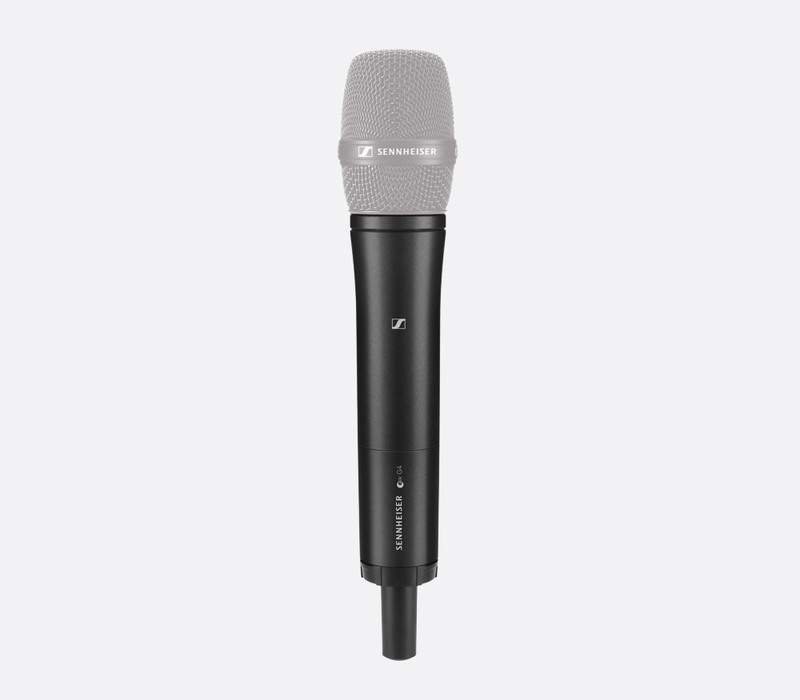 It is powered by two 1.5V AA batteries or a single BA 2015 accupack that can be inserted into the body of the microphone via a hidden threaded compartment, for an operational time of around 8 hours. All models have set-up and menu cursor buttons, multi-function switch, and fixed antenna at the base of the microphone shaft. An orange backlit screen gives the user feedback on current settings. 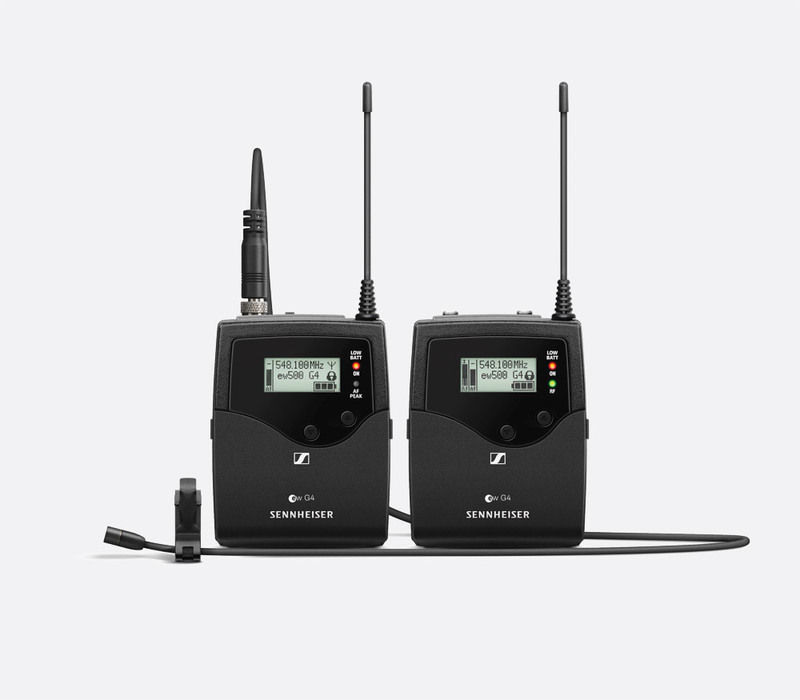 The transmitter is available in complete systems with a choice of three microphone capsules. They are also available as component versions without capsule, compatible with Sennheiser MMD, MME, and MMK capsules, see Sennheiser Radiomics - Evolution Series - Microphones. Each transmitter is offered in two configurations of the operating frequency. One is covers channels 61/70 at 790-865MHz, the other is channel 38 ready at 606-648Mhz. Dimensions: 265 x 50 (LxD) mm. Weight: 450g, including batteries. Included accessories: MZQ 1 microphone clamp, pouch, 2x AA batteries, guides. 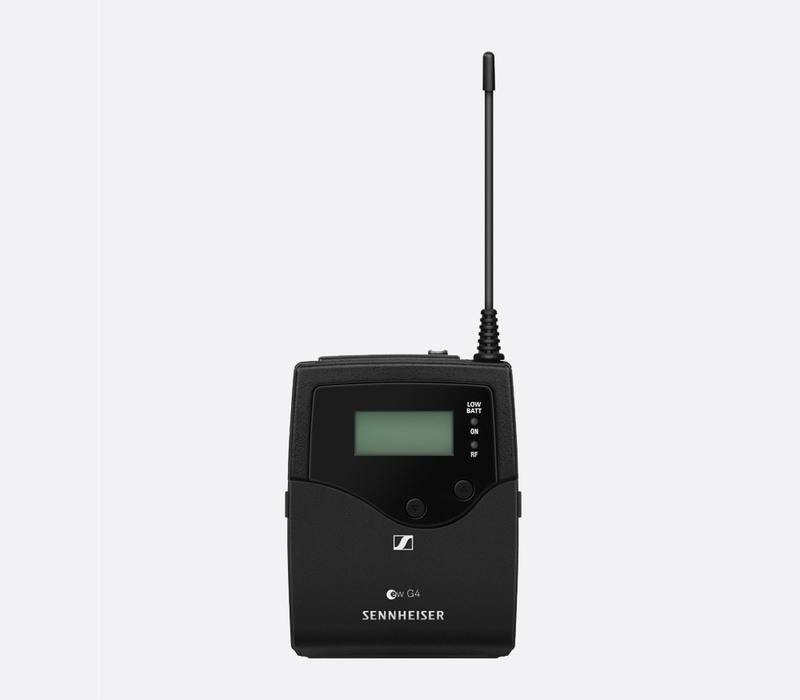 This transmitter attaches to compatible microphones via a 3-pin XLR connector to give the same operational functionality as the SKM 500 G4 handheld transmitter. Dimensions: 43 x 43 x 105 (WxDxH) mm. Weight: 195g. Included accessories: 2x AA batteries, POP 1 pouch with belt clip, guides. This is channel 61/70 ready. This is channel 38 ready.